Well, here is your chance. 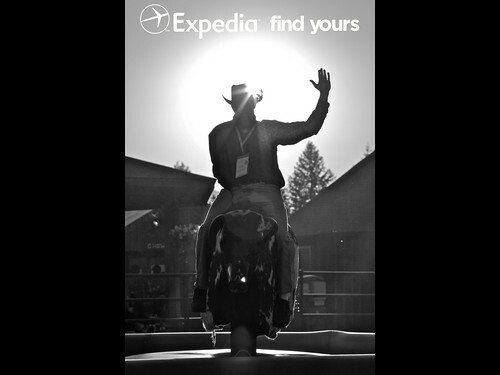 We are now accepting bids to host our 2014 TBEX North America event in your city. You can call 858.309.4747 ext. 111 or contact Carrie Hebert by email for more details and request our RFP (request for proposal) through March 1st, 2013. The winning bidder will be announced during our closing Keynote at this year’s show in Toronto, giving you a full year to promote your destination through the TBEX Community. Hosting TBEX 2014 is an opportunity to focus the largest social media marketing campaign and press trip in the world on your destination. The event is attended by hundreds of travel writers, generating hundreds of millions of online impressions via blogs, podcasts, social media networks including Facebook, Twitter, Pinterest, Instagram, Flickr, YouTube, Google+ and more. TBEX also generates significant traditional media coverage. Hosting TBEX also presents a unique opportunity to create a gigantic library of digital content for your destination. Our attendees generate an enormous amount of content during our events. TBEX attendees will generate thousands of photographs, hundreds of videos and hundreds of online stories and reviews featuring your destination. Here is a short video showing one of the dozens of organized pre and post blog trips organized by the Costa Brava Tourist board during our TBEX Europe event in Girona Spain in September 2012. Our 2012 event in Keystone, Colorado, was attended by just over 700 blogger and industry attendees. 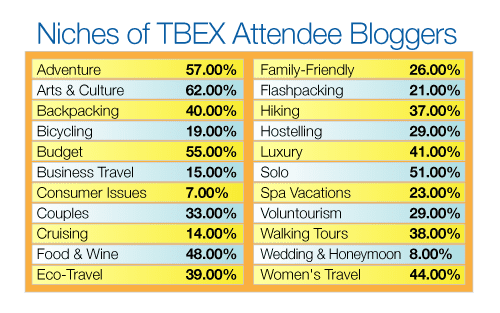 However more than 2,000 influencers wrote about TBEX Keystone, meaning the reach of the event goes well beyond the attendees at the show. These influencers reached 11.2 million people via Twitter, generating 212 million impressions in just two days! Rich Grant, Director of Communications for VISIT DENVER said, “TBEX is the Woodstock of the travel industry. Everyone in the travel industry is either here or wishing they were.” Here are a few more folks talking about TBEX 12. Our 2012 Europe event in Girona, Spain, was attended by more than 400 blogger and industry attendees who reached 6.3 million people via Twitter, generating 47.5 million impressions. Jaume Marin, Marketing Director for Costa Brava Board of Tourism said, “TBEX is the world’s main event for travel bloggers, writers and new media content creators, and for Costa Brava being the host destination for TBEX has been a huge opportunity, incomparable to any other. Celebrating TBEX in our area has allowed us to greet travel bloggers from all around the world, who specialize in all kinds of subjects, which has meant a great chance to meet them and show them the best of what we have to offer. During and after TBEX, we realize how successful the event has been in terms of promotion, as the destination has achieved enormous exposure and coverage all over the globe.” And other people are talking about TBEX Spain, as well. No matter who your prime traveler may be, TBEX attendees are sure to reach them. TBEX attendees write about every major travel niche. From luxury to budget travel and everything in between. Our 2013 event in Toronto will attract more than 1,000 attendees, making it the biggest TBEX event ever. 2014 will be even bigger. If your destination would like to host TBEX North America 2014 contact Carrie Hebert to request an RFP. Bids will be accepted for our North American event until March 1, 2013. And bloggers, if you know of a destination that would be a fabulous destination for a TBEX event, please pass this information on to them. Thank you. You forgot a pretty important niche in that little chart! I think Portland, OR would make a pretty awesome TBEX location. I wish I was back in Ireland for this! Any word on when the 2014 city will be announced?